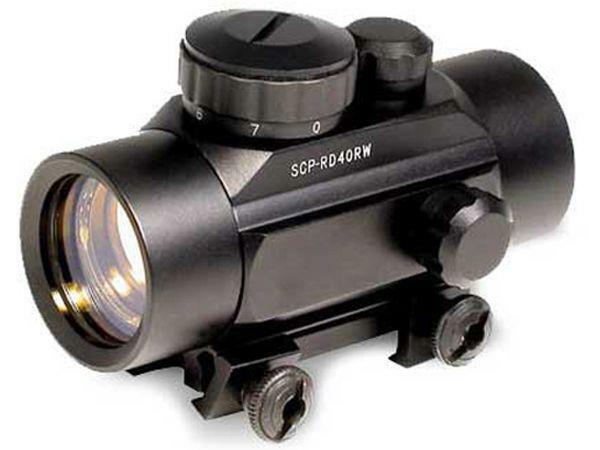 Swiss Arms Red Dot Reticle Sight |ReplicaAirguns.ca | Easter Weekend Sale! Comments: The quick mount Swiss Arms Red Dot Reticle Sight is designed to fit snugly on the weaver/picatinny rail of your favourite rifle. This tactical accessory will improve your aiming speed during skirmishes. A lightweight polymer build makes this sight easy to carry.